HOPE, Alaska – When you're introducing your biggest and toughest vehicle, what better place than the biggest and toughest state? Alaska is somewhat civilized during the summer, but only for three short months of the year. We were warned about bear and moose, which some took lightly – until we encountered a grizzly that towered at least a foot over ourExpedition! 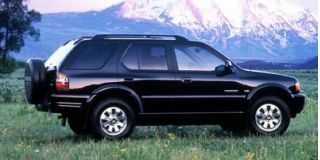 Now Ford doesn't expect Alaska to ever be a major market, but with safety and comfort paramount in the designers' minds, this was a good place to check out the features and performance of the 1999 Expedition. Well over half of all the vehicles we encountered there were trucks, and we couldn't stop without the locals giving the cars a thorough check. 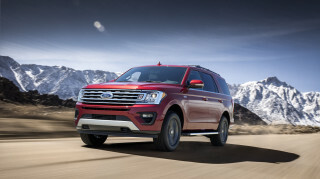 Ford benchmarked their luxury cars for ride and noise level targets in the Expedition, and the Toyota Land Cruiser and Range Rover for off-road performance. They claim to have met both marks, and after three days in the vehicle, I agreed. While driving, I had to make a quick trip up narrow Alaska roads cluttered with Winnebagos. 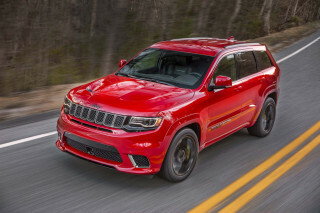 Even with the 4.6-liter V-8, we passed other cars with impunity. A slight drizzle kept the roads slick, and by keeping it in AWD, there was not the slightest discomfort or lurching often experienced in these tall and heavy vehicles. Later we drove on a off-road trail used for training Army Hummer drivers, and found that the Expedition handled the road well in all four-wheel modes, but the standard suspension was rougher than most upscale buyers are likely to want. Amazingly, the optional air suspension made the Expedition drive like a different vehicle, even handling ruts and washboard surfaces without inducing seasickness. 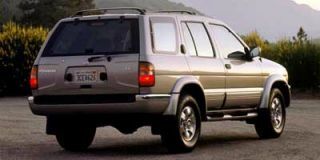 This was one of the first vehicles brought to market under Ford 2000, the corporate reorganization aimed at more rapid development through sharing of resources throughout the world. 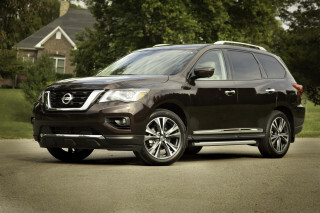 Expedition is aimed at the more affluent consumer, who wants the extra comfort and capability that the extra 15 inches in length offers over the Explorer. Most people are using Expeditions on city streets, and are using them to replace vans and station wagons, as well as smaller SUVs. Since many small-statured women are driving Expeditions, the addition of adjustable pedals is extremely welcome. The Expedition’s interior sports adjustable pedals, a first for any sport-utility vehicle. Power adjustment of the brake and accelerator pedals is activated by an illuminated instrument panel-mounted switch, which operates a small 12-volt DC motor on the pedals. The power adjustment offers three inches of linear travel while maintaining the same spacing between the pedals as well as the distance between the pedals and the floor of the vehicle. This feature has particular benefits to shorter drivers, enabling them to sit farther from the steering wheel and can accommodate drivers representing 95 percent of the driving population. The power adjust pedals benefit all drivers with increased seating distance from the steering wheel, increased knee bolster legroom, more comfortable arm positions, better access to console features and more headroom. 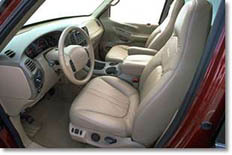 With adjustable seats and steering wheels to boot, it is a rare person who cannot find a comfortable and safe driving position. 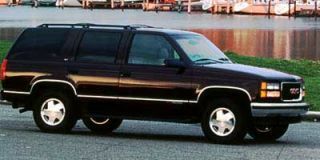 GM used to dominate the large SUV market with its Suburban, Tahoe and Yukon. Ford’s own Bronco sold the majority of the rest, but it was only a two-door model. 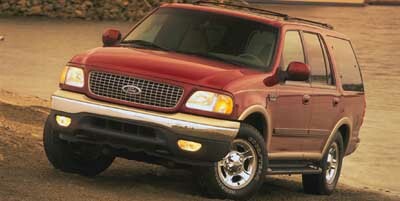 The arrival of Expedition and its Lincoln Navigator cousin in 1998 has reversed that sales pattern. 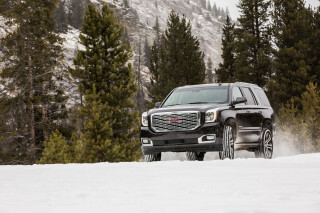 Finally, the conservative GM decision makers have given GMC the green light to develop more upscale versions, starting with the Yukon-based Denali. Cadillac dealers have forced corporate management to reverse its stance, and their dealers are trying to divert Lincoln Navigators buyers with their Denali-based Escalade. For now, the Expedition has the upper hand between the GM large sport-utes. 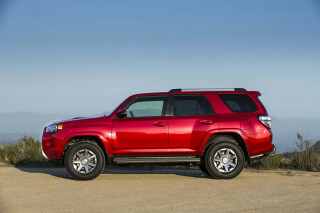 It’s five inches longer than Tahoe/Yukon, and 14 inches shorter than Suburban, but it can still be parked in most garages. More attention has been paid to passenger comfort than cargo, with most of the interior space devoted to people. An optional removable seat allows three persons to sit in the back, but limited seat height, and cumbersome access makes this most useful for children. 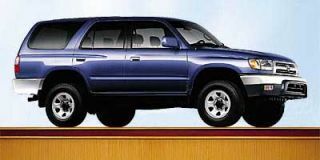 The Expedition uses the same platform as the F-150 pickup (sharing 50 percentof its parts), but the comparison ends at the windshield A-pillar. Obviously the interior is lush and well laid out, but Ford went to the extra expense ($30 million) of designing new front doors, rather than using the truck door. 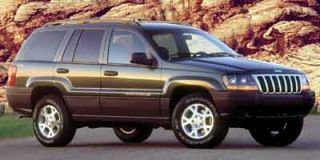 As a result, front and rear passengers can enter with equal ease, and interior room is greater than Tahoe/Yukon. Front seat travel is greater; thus even taller drivers will not be against the end of the seat travel. Immediately upon entering the Expedition, creature comfort emphasis is evidenced by the grab handles at each door. Separate climate and audio controls are available in back, and there are height adjustable shoulder belts for the rear as well as front occupants. Expedition sports a new seating fabric for improved comfort and durability. The third-row seat incorporates a new wheel system for easy seat removal and installation. Though it shares much with the F-150, a different ladder frame is found beneath the Expedition, one that’s boxed for stiffness and noise reduction. The rear suspension is totally different than the trucks, with emphasis on ride and load leveling. Four drive selections are available from a selector switch on the dash on the ControlTrac models – 2WD, AWD, 4H & 4L. For the true off-roaders a center differential lock is available. Ford's modular engines are available in 4.6-liter and 5.4-liter configurations (both gaining horsepower this year), mated to four-speed automatic transmissions, with the larger 5.4 mostly needed for its 8000-pound trailer towing capacity. Don't look for a V-10 since it is too long, but a diesel could be adapted if demand is sufficient to finance the emission testing.